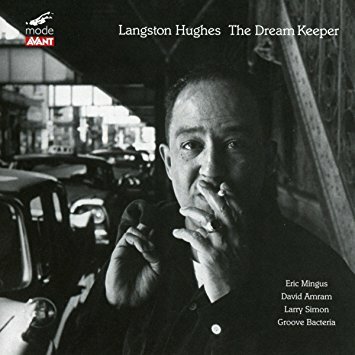 There have been many recordings featuring the works of the great Harlem Renaissance poet Langston Hughes (1902-67), including Hughes’ own spoken word recordings, some with musical accompaniment. Perhaps the most well-known is the 1958 MGM release Weary Blues, featuring Hughes reciting his poetry over a jazz soundtrack composed and arranged by Leonard Feather and Charles Mingus. 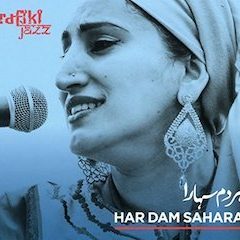 A more recent offering was Laura Karpman’s GRAMMY Award winning Ask Your Mama, featuring her original musical setting of Hughes’ epic poem Ask Your Mama: 12 Pieces for Jazz. The Dream Keeper was recorded in 2012 towards the end of Barack Obama’s first term as POTUS, and released just prior to Donald Trump’s inauguration. If released just a few weeks later, I wonder if Simon would have changed the order of the tracks to end with “Democracy,” the opening lines of which read: “Democracy will not come/Today, this year/Nor ever/Through compromise and fear.” In any case, this is a first-rate project. I might even suggest that Mingus’s heartfelt delivery, with its soulful timbre and nuanced rhythms, is even more impactful than the recordings made by Langston Hughes. To use a phrase from Amram, Eric Mingus knows how to realize and pay homage to “the music that is already in the spoken word.” Highly recommended! This is one of those occasions when the general public should have access to materials record companies or independent artists send out with CDs, in this case the press release Rounder included with virtuoso banjo man Noam Pikelny’s fourth solo album, Universal Favorite, a project featuring only the artist, his voice and his instruments. 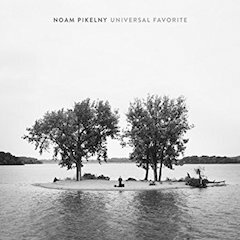 Best known as one of the barrier breaking Punch Brothers, Pikelny’s solo work has always been fascinating on multiple levels, and herein he again opens ears to the possibilities of tone and texture the banjo has too often and mistakenly been accused of not possessing. He does this not merely by technique but in his choice of instruments, all with fascinating histories. 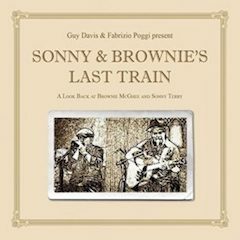 Seven of the 11 tracks find him employing a 1941 Gibson Style 7 banjo with a Robin Smith 5-string neck (“…found in the 1980s in a pawnshop in Johannesburg, South Africa, and repatriated back to the U.S.”); on two tracks he opts for the truly exotic 1928 National Style 1 Tricone Plectrum 4-string guitar that Pikelny discovered one expert assessing as having “no musical purpose” when it was introduced, and adding further, “that remains true to this day.” Pikelny’s reaction to this appraisal was to snap it up for use on his album. “Each of these instruments has a unique story and has known the world much longer than I have,” Pikelny says. “Picking them up makes me feel more connected with generations that have come before. 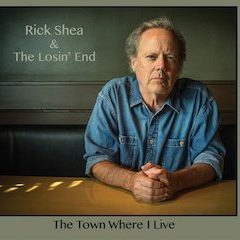 Perhaps this bond with old instruments that are filled with character and charisma makes performing solo feel less lonely.” Complete review here…. Kyrie for Mass for the Oppressed by Emerson Eads. 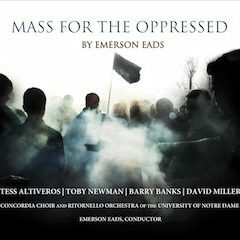 Soprano, Tess Altiveros; mezzo-soprano, Toby Newman; Barry Banks, tenor, and bass-baritone, David Miller, join forces with Emerson Eads and the University of Notre Dame’s Concordia Choir and Ritornello Orchestra for a world premiere, live concert recording of Emerson Eads’ Mass for the Oppressed. Written in response to the release of four Native Alaskans, known as The Fairbanks Four, from prison after eighteen years of wrongful incarceration. They were released in December of 2015 with no chance to seek any reparations from the state of Alaska. 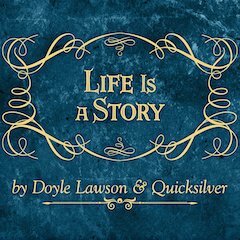 Doyle Lawson talks about his new album Life Is A Story and the song ‘Life To My Days’ written by Jerry Salley, Lee Black and Devin McGlamery. 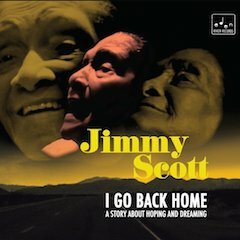 “Sometimes I feel like a motherless child,” Jimmy Scott sings in “Motherless Child,” cushioned by Joey DeFrancesco’s soulful organ and stately, mournful strings. To that point, that a singer as transcendent as Jimmy Scott ever existed does seem like something out of a dream. A genetic disorder left him with a pre-pubescent voice that made the younger Scott essentially genderless, exotic and riveting. Although in his career he worked across generations with Sarah Vaughan, Ray Charles (who produced his 1951 album, Everybody’s Somebody’s Fool), Lou Reed and others, and had a late-life run of good professional fortune thanks in large part to being championed by the great songwriter Doc Pomus, the brass ring of household word stardom always eluded him. He was maybe too good for the mainstream as it evolved and real singers were left behind in the autotune era. Obscurity followed him around, always beckoning when better things seemed on the horizon. But Jimmy Scott, who died on June 12, 2014, was a beautiful soul with a holy spirit. 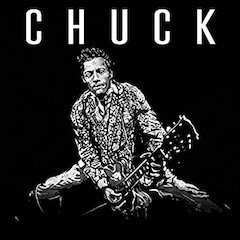 In 2009 he was sought out by a German producer, Ralf Kemper, whose self-professed mission was to make one last great album with Jimmy before the otherworldly artist was called home. 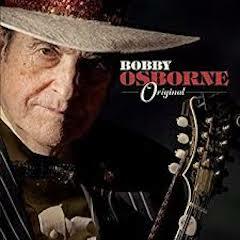 The recordings were part and parcel of a larger project that includes a documentary about Jimmy, hence the lapse in time from the recordings to this album’s release. 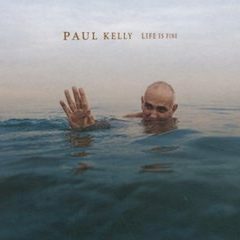 Those fans fearing Paul Kelly had been spending too much time in the Australian heat after his somber 2016 releases (Seven Sonnets & A Song, musical settings of Shakespeare’s poetry; and his 2016 Deep Roots Album of the Year, Death’s Dateless Night, a collaboration with Charlie Owen on songs they sang at funerals), listen up: Life Is Fine finds Kelly mighty fine indeed—upbeat, tuneful, energized. 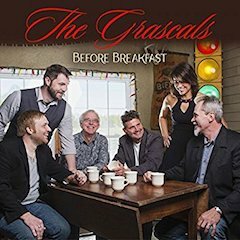 Backed by many of the musicians he’s worked with on the road these past two decades, Kelly is in his wheelhouse here, examining relationships with heart and wry humor. As lovers come and go Kelly portrays himself alternately as forlorn (“Rising Moon,” despite its seething intensity); buoyantly lovestruck (“Finally Something Good,” a classic pop-rock item with lyrics emanating sunshine powered by a driving arrangement fueled by Cameron Bruce’s piano and Ashley Naylor’s sizzling guitar); and hilariously lusty, “a man with a plan” to seduce his woman with ”wine in the bottle/paella cooking in the pan/Elvis on the stereo…” Kelly’s near-deadpan delivery over a raucous rock ‘n’ roll assault (complete with a delightful, cheesy Farfisa organ solo) makes the whole setup seem helplessly hopeful but the sincerity of his feelings and the certainty of his conquest makes a riot of the whole enterprise. Lest Kelly be taken to task for a too male-centric view of the game of love, he gives something approaching equal time to the distaff point of view in the stomping, dirge-like “My Man’s Got a Cold,” in which sassy Vika Bull demonstrates a bedside manner lacking much in empathy or embracing the Hippocratic oath (“Well, if he don’t come ‘round soon/I just might have to put him down…”); Vika’s sister, Linda Bull, is in similar put-down mode on the more pop-ish “Don’t Explain,” wherein she practically exults in warning a wayward lover against assuming she’s going to be available next time he comes ‘round (“But if one night you’re lonely/and I have other company/don’t complain, don’t complain…”) If Vika’s and Linda’s turns on Life Is Fine are among the album’s pleasant surprises, the biggest surprise of all is Kelly’s continuation of one of Roy Orbison’s most fevered imaginings in “Leah: The Sequel.” Kelly’s swaggering, bluesy tune, awash in a tropical feel, finds the presumably drowned protagonist of “Leah” not living with the oysters he hoped to scavenge for pearls but alive and well, with those pearls in hand and Leah at his side in some undisclosed location where they have “a hut and a boat by the sea…” and the guy toils in Leah’s father’s cannery. The narrator suggests the girl of his dreams has a ten-year plan that will free him from dad’s cannery for good, and end his days of pearl diving as well—dark doings are afoot. In a nice touch, the ghostly harmonies of the Bull sisters evoke the melody and ambience of Orbison’s nightmare saga. ZRI present Schubert’s String Quintet in C, reimagined to sound as radical as when it was first written. 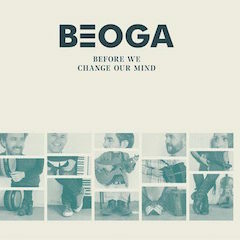 Bursting with gypsy and Hungarian themes, it is here rescored to include clarinet, santouri (cymbalom) and accordion and interleaved with traditional tunes. 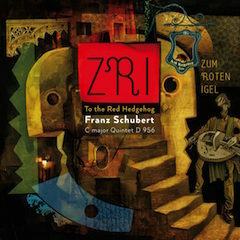 ZRI stands for ‘Zum Roten Igel,’ the name of the major concert venue in Vienna in Schubert’s time but also of the tavern just behind it where bands played and composers caroused into the night; at one point Schubert even lived next door. His fluid embrace of folk tradition in this much-loved work is brought out in this exciting version, reflecting the daring and profound qualities of the piece itself. The most unlikely and in many ways the most compelling pop-rock album of the year comes out of the blue, and from England, via the genius of rock journalist legend John Mendelssohn, who wrote the songs, plays most of the instruments and painstakingly produced Mr. Isambard Jones, whose tuneful voice is a cross between young David Bowie and that of a Jewish cantor, with a touch of Anthony Newley’s theatricality and the Bonzo Dog Doo Dah Band’s sense of the absurd in the mix. Producing Mr. Jones is a task unto itself, as he remains hindered by the effects of a stroke suffered a few years back and must record his vocals piecemeal, phrase by phrase, or word by word. You’ve heard of vocal “fixes”? In which artists re-record a word or phrase over one they’ve botched? Well, every word or phrase Mr. Jones sings is essentially a vocal “fix.” Amazingly, the listener would never know, as the performances are seamless, assured, wry, unself-conscious and at times touching. But you don’t make the Elite Half Hundred simply by making a wrong turn at Victoria Station. As the one critic who dared stand up to the criminal enterprise known as Led Zeppelin and properly trash the lumbering quartet’s first two albums (engendering a volume of hate mail possibly still ranking as a Rolling Stone record), conceding only that Jimmy Page “is the heaviest white blues guitarist between 5’4” and 5’8,” and an indefatigable promoter of his band Christopher Milk (in the pages of Rolling Stone, no less, a feat now, and for years, unimaginable in those pages), Mendelssohn’s own music has always shown his love and affinity for early British Invasion rock styles, with his lyrics evincing a more satirical bent but not at the expense of heartfelt sentiments and indelible images—think Tom Lehrer filtered through Ray Davies. 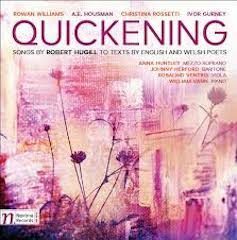 Mendelssohn’s lyrical strengths remain in force on Mr. Jones’s debut; but though there are hints of the more raucous Mendelssohn in his keyboard work (the juxtaposition of gentle chimes with a twisted, processed keyboard solo in “A Beautiful Sight to Behold” will make you sit up and take notice), the overall feel of the project is more indebted to the British music hall style with a dash of Spike Jones for good measure. 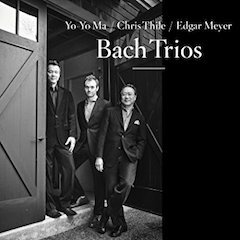 An album that elicits a considerable amount of excitement, the new Bach Trios album with Yo-Yo Ma, Chris Thile and Edgar Meyer is an instant classic and a must listen. Bach albums are a dime-a-dozen. Articles about Bach albums that begin with statements referencing the vast volume of Bach albums in the world are also a dime-a-dozen. 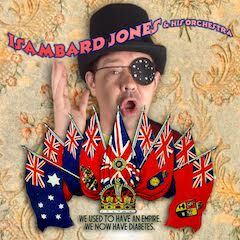 Less common, though, is a Bach album like this. 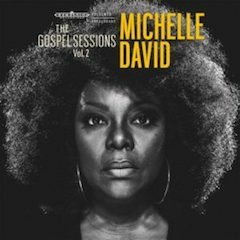 Ironically, Michelle David’s The Gospel Sessions Volume 2 has such deep roots in Americana music that it probably would never be released by a U.S.-based gospel label. 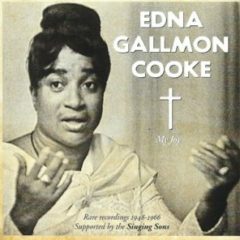 The current clamor for big and bold gospel singing and stadium-sized musicianship has eclipsed the more subtle, but no less soulful, sacred sounds and nuanced artistry of singers like Liz Vice and, as she demonstrates on this album. 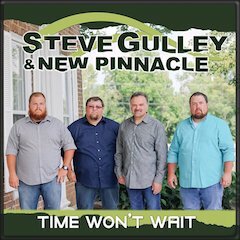 ‘Time Won’t Wait,’ Steve Gulley and New Pinnacle, title track from the new album. 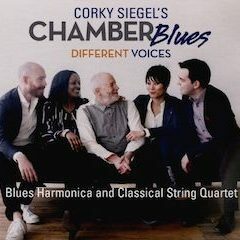 As if emphasizing that he isn’t the first composer to advance a blues-classical fusion, Chicago blues harmonica master Corky Siegel begins “Missing Persons Blues, Op. 26,” the first work on Different Voices, with an opening measure on harmonica echoing the iconic clarinet glissando heralding the start of George Gershwin’s “Rhapsody in Blue.” The tune doesn’t unfold with the orchestral grandeur of Gershwin’s masterpiece, but over the course of its four minutes-plus running time it does achieve a textbook meshing of blues and classical elements, from the languid, moaning, New Orleans-textures Siegal crafts on harmonica to the cool swagger Ernie Watts brings on sax, while the West End String Quartet, working here in its guise as Siegel’s Chamber Blues String Quartet, injects rather Stravinsky-ish retorts in motivic development with a blues edge. 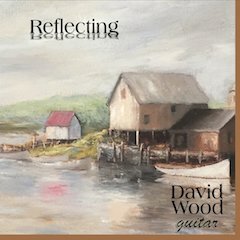 As summer waned, a new instrumental album from guitarist David Wood heralded the looming autumn season with beauty, serenity and invigorated spirit. Reckoning is a single composition with a running time of 34:39; if it had a subtitle, it would have to be Suite for Mind, Body & Solo Guitar. I don’t want to get too out there, but the nuanced moods here capture in music the turning of the earth, when “summer has o’er brimm’d their clammy cells,” as sensitively as Keats did in his enduring “To Autumn.” For fans of solo acoustic guitar, Reckoning is as fine a representative of the sub-genre as any other released in 2017. Reckoning, the album, is an all-instrumental project devoted to a single like-titled composition with a running time of 34:39. Its cover depicts an old barn set in fading green, hilly country, situated on the banks of a placid river. The painting reflects much of the music in its serenity, but Mr. Wood, respecting nature’s unpredictability, offers textures of life beyond the laid-back scene on his album cover. At 11:30 or thereabouts, a series of rapid arpeggios brings sudden tension to the atmosphere, until the storm recedes, leaving behind a gentle, fresh breeze wafting restoratively over the landscape. As the composition unfolds, it turns ever more inward, reflecting, if you will, life both interior and exterior—a happy passage here, a somber one there, leading to a poignant, evocative benediction, and a tender “amen,” spare and touching, as life goes on, and the river keeps on flowing. 21. 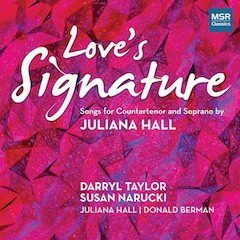 JULIANA HALL (COMPOSER) WITH DARRYL TAYLOR (COUNTERTENOR), SUSAN NARUCKI (SOPRANO) AND DONALD BERMAN (PIANO), Love’s Signature Songs For Countertenor & Soprano Based On Shakespeare (MSR Classics) Review by Joseph Newsome. Syllables of Velvet, Sentences of Plush—7 Songs for Soprano and Piano on Letters of Emily Dickinson: IV. To Samuel Bowles The Younger. Juliana Hall, Susan Narucki, Donald Berman, from Love’s Signature: Songs for Countertenor and Soprano by Juliana Hall. 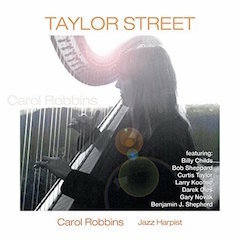 With Taylor Street (the title refers to the street in Chicago’s Little Italy neighborhood where her mother was born and raised), Carol Robbins asserts the jazz harp as a versatile ensemble instrument in the variety of styles her nine original compositions reflect. Now five albums into a lauded career (her previous long player was the acclaimed Moraga, released in 2012), Ms. Robbins has carried the jazz harp torch forward from her days as a student of the godmother of all jazz harpists, the late, great Dorothy Ashby. Just as Ms. Ashby in the 1950s, both established the jazz harp as a legitimate improvisational instrument, at a time when it was considered merely as a novelty backdrop, and featured it in varied contexts over the course of her 10 solo albums, so has Ms. Robbins taken Ms. Ashby’s cue and emphasized the instrument’s versatility and distinctive voices in fashioning a growing, and formidable, catalogue featuring jazz harp in both lead and supporting roles.